Can we choose joy in any situation? In Joy for All Seasons bestselling author and motivational speaker Carol McLeod talks openly about confronting the harsh realities of life and how to discover lasting joy and spiritual peace in the face of adversity. 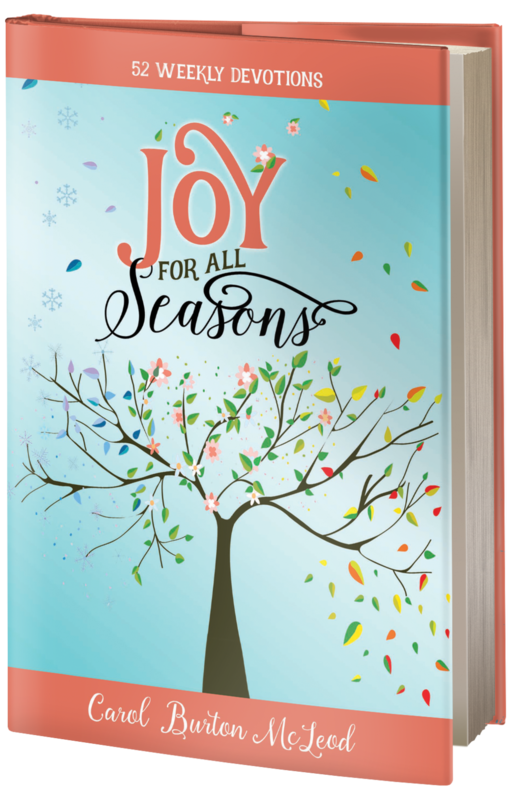 With 52 chapters that will take you through every week of the year, Joy for All Seasons can be used as a devotional, a weekly journal or a peaceful retreat from the stresses of life. If you are struggling to find joy in your life and don’t know how, this book is for you. "Carol captures the essence of God's love through her life giving words. Joy For All Seasons is a healing salve the Father will use to heal the deepest and darkest parts of your wounded soul.